A high-profile clash between UK media veteran Piers Morgan and Scottish Green Party MSP Ross Greer on ITV show 'Good Morning Britain' has proven extremely divisive among Twitter users. Greer appeared on the show after branding famed former Prime Minister Winston Churchill a "white supremacist mass murderer" on Twitter — Morgan responded in typical truculent style, leading to a protracted social media bust-up between the two. Morgan duly invited Greer onto the morning show to discuss the issue directly, stating if he declined it'd be a demonstration Greer was "gutless as well as thick ginger turd". Greer acquiesced, promoting the segment in advance on social media as a meeting with '#HoneyGlazedGammon'. ​The televisual debate was perhaps even more heated than its digital predecessor. The enraged host slammed the MSP as "nasty, sneering and derogatory" and "a Churchill hater" with "no rounded view of history". In return, Greer called Morgan a "snowflake" on the World War Two-leader, noting one of Churchill's cabinet ministers compared him to Hitler. ​"[Not everybody] celebrates Churchill, they absolutely don't — if you go to India, Ireland, Kenya, these points of view have not been allowed to get out. The prevailing narrative is [Churchill is] a war hero you cannot speak ill of. But he's a complex character and we need to start being honest about our own history. He described Indians as a beastly people with a beastly religion," Greer responded. ​In turn, Morgan refuted Greer's suggestion Churchill was responsible for the 1943 Bengal Famine, in which an estimated three million died. 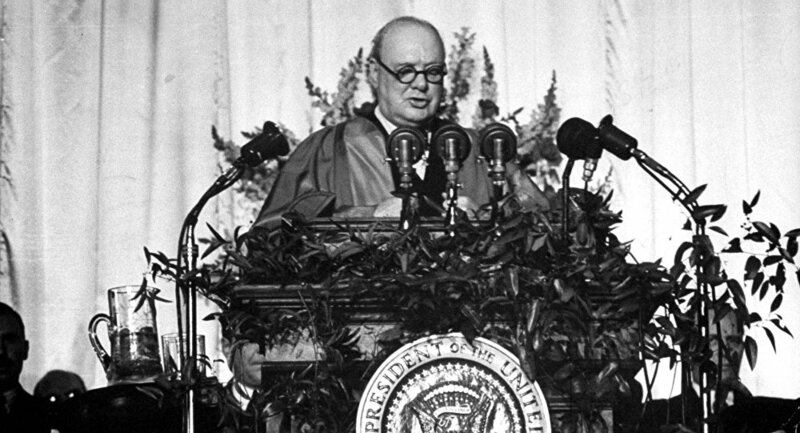 ​"You've failed to offer any perspective….your sneering besmirched Churchill. He was the Prime Minister that led to this country saving itself from Hitler and the Nazis. You can do it to Nelson Mandela…you can go back over things he had said and things he had done, and you could construct a completely negative, horrible picture of Nelson Mandela, but actually why would you do that? Given Nelson Mandela became one of the great men of all time as did Churchill. It's like that smart alec guy isn't it? Who was the student union president and has always been told how clever he is. He goes and gets all these little stats, but on the basic stuff you have to do factually he was completely incorrect," Morgan said.